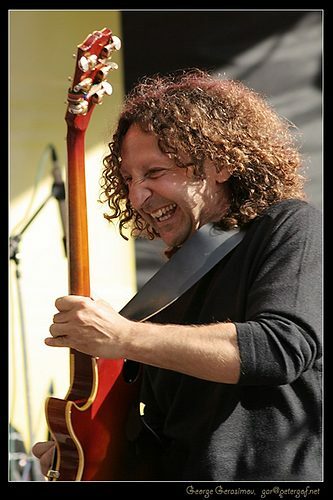 Mixing all styles and elements of the blues, Jimmy C and his tight band enthusiastically play a contemporary blend that can only be called.... "BLUES WITH A SMILE...!!" Jimmy C and the Blues Dragons - One of London’s greatest blues bands, delivering brilliant rip roaring guitar solos and blues. Yet another fantastic band returning to Marigolds by popular demand. Canadian - born singer, guitarist Jimmy C moved to Britain via Vancouver, San Francisco and Japan since when Jimmy and the band are earning a deserved reputation as one of the most entertaining and hard-working bands on the London circuit. Playing a repertoire which includes blues classics from Robert Johnson and T-bone Walker, various Kings of the blues, that is Albert, Freddie and BB, they follow through to the music which the British Blues Invasion of North America left in its wake, from the Rolling Stones to Cream, from Jimi Hendrix to the Doors and even Steppenwolf They freely admit they are not blues purists but as they point out neither were the blues greats - their mission is to do what Muddy Waters did, and what Rufus Thomas did, to entertain and get you dancing.